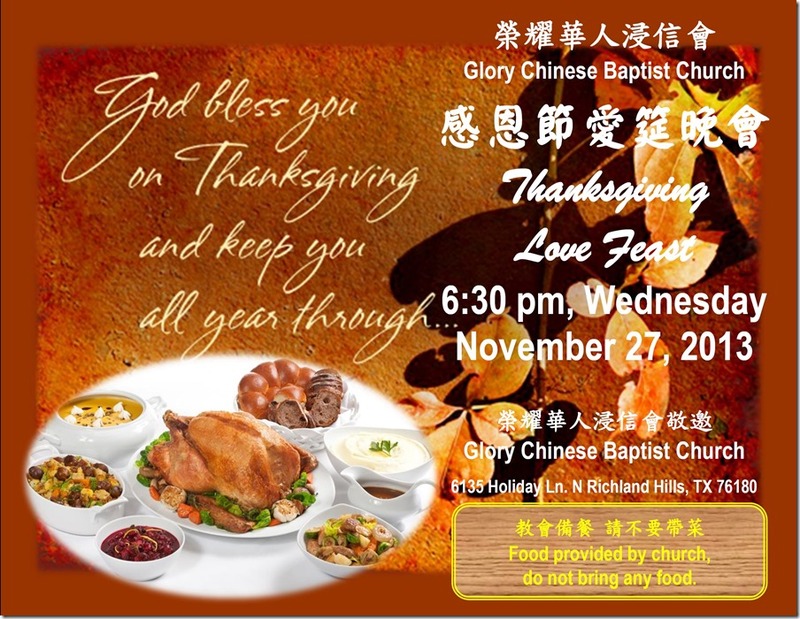 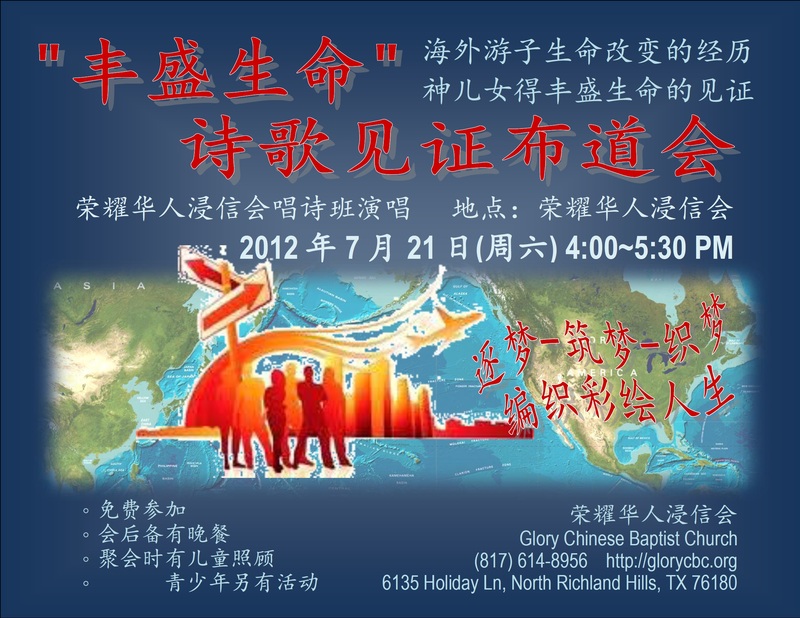 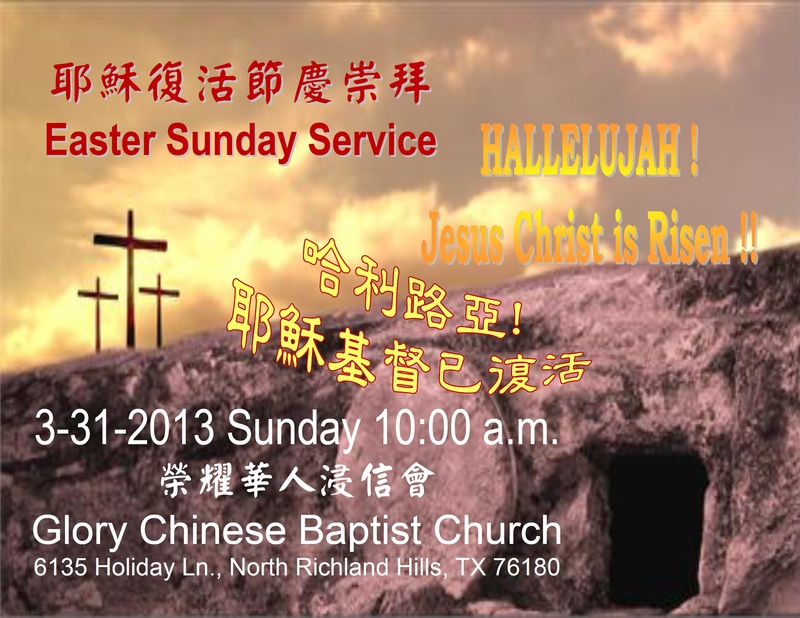 at Glory Chinese Baptist Church. 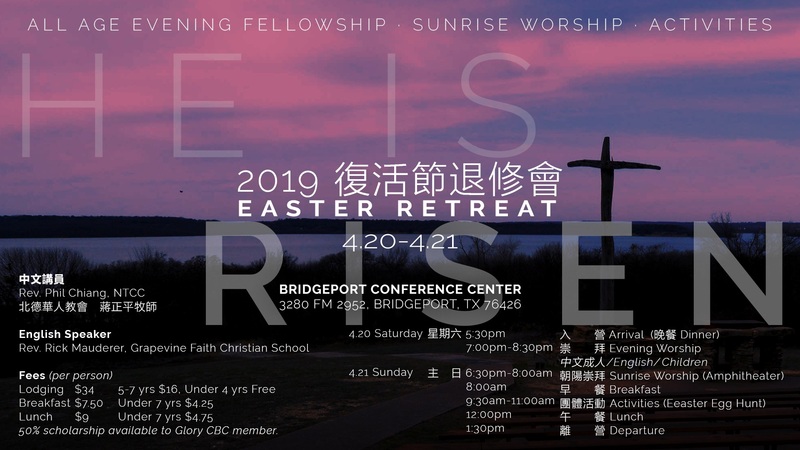 3/20 Sun., 3/25 Fri., 3/27 Sun. 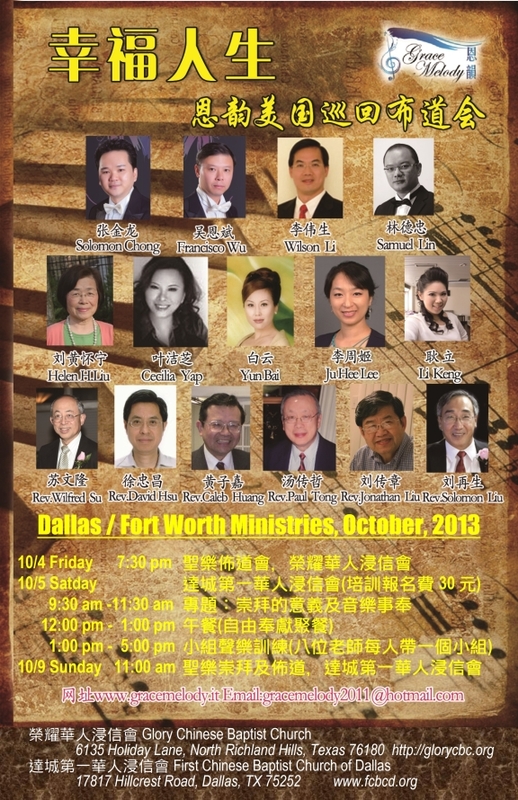 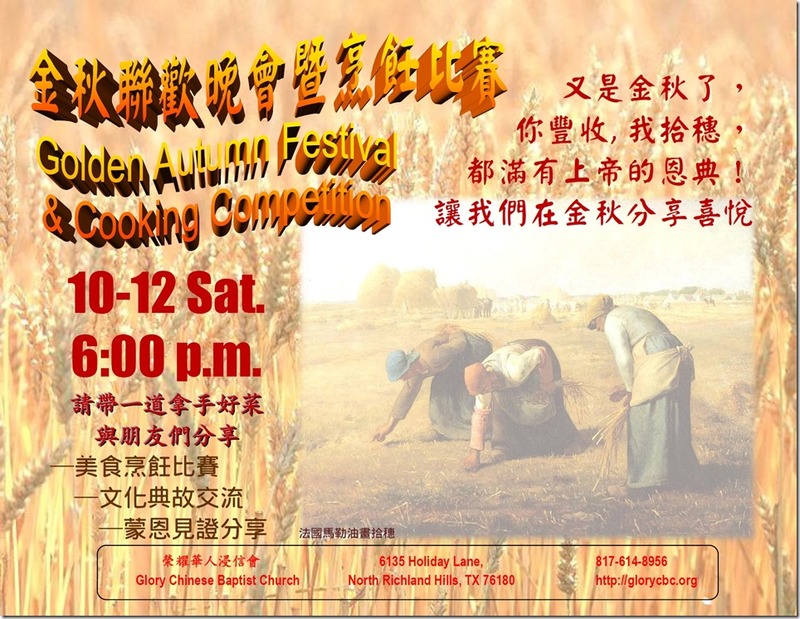 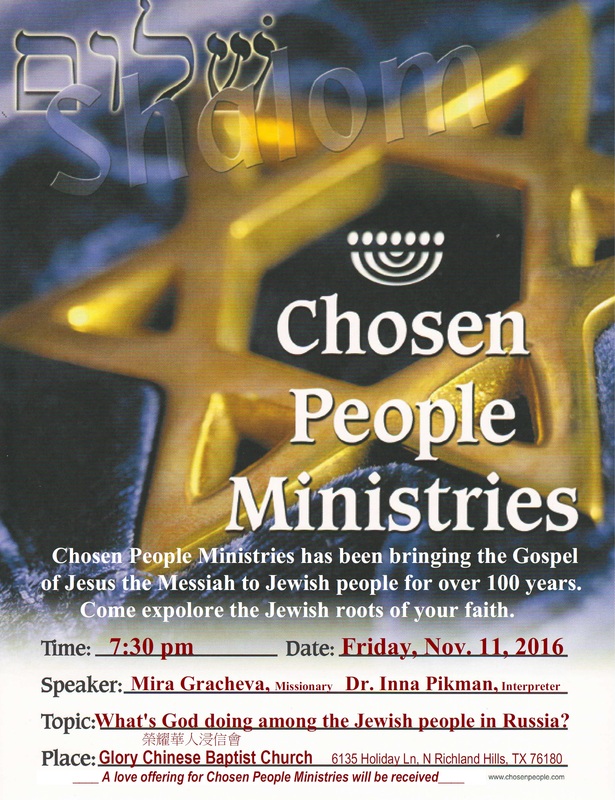 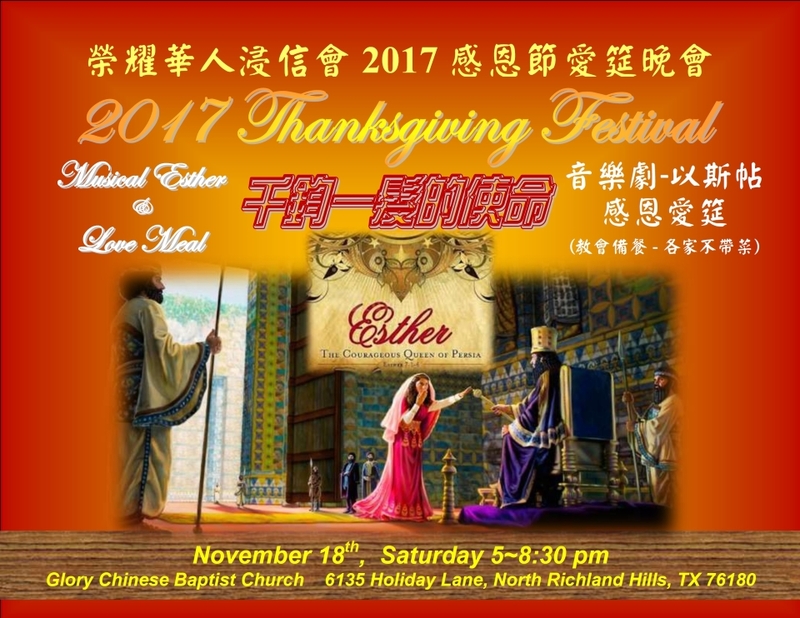 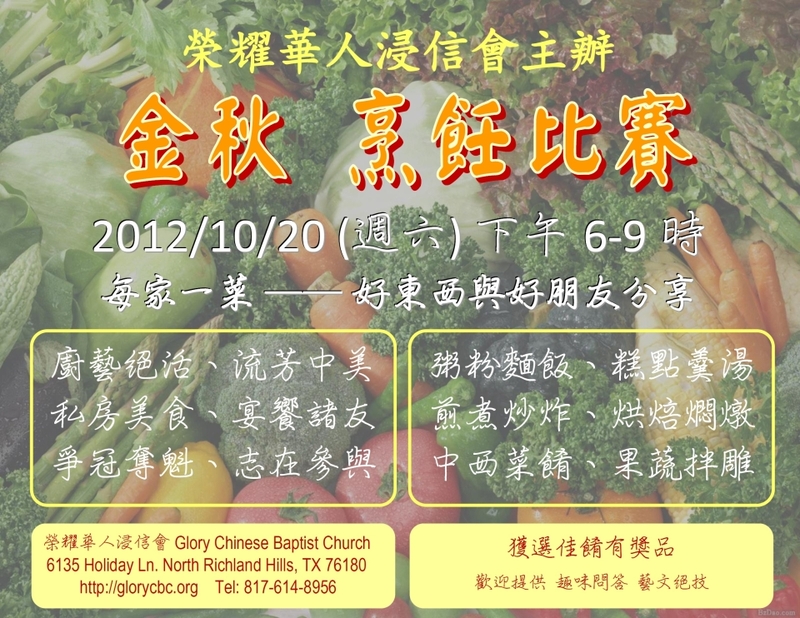 9/25-9/27 (Fri-Sun) at Canyon Creek Baptist Church (2800 Custer Parkway, Richardson, TX 75080). 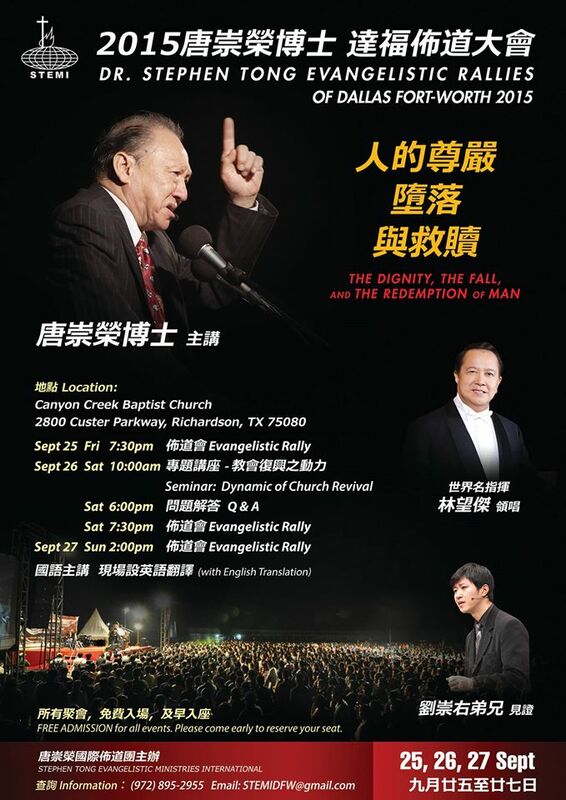 The topic: “The Dignity, the Fall, and the Redemption of Man." 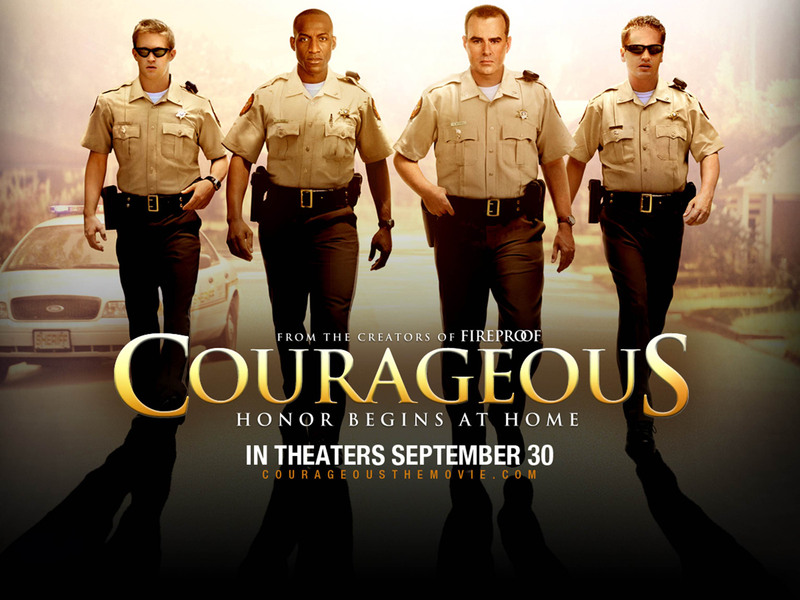 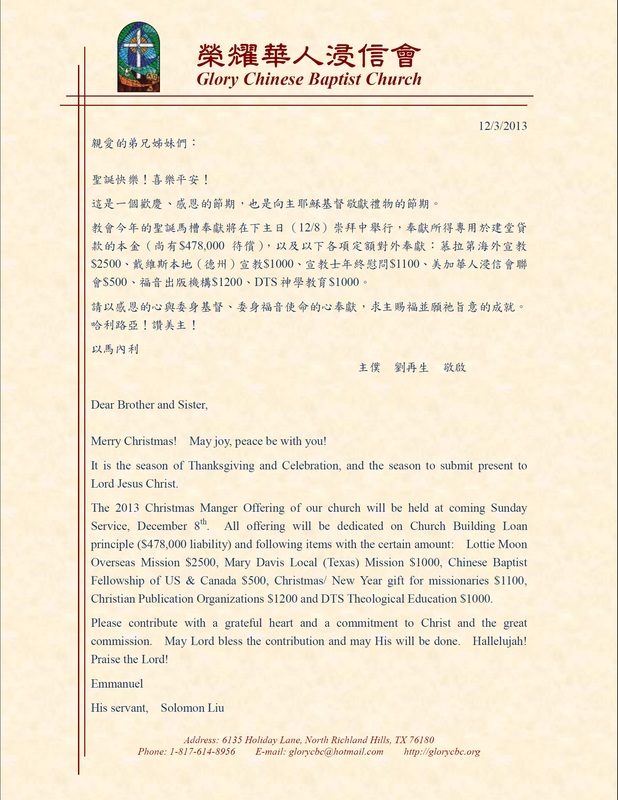 Poster / PDF file . 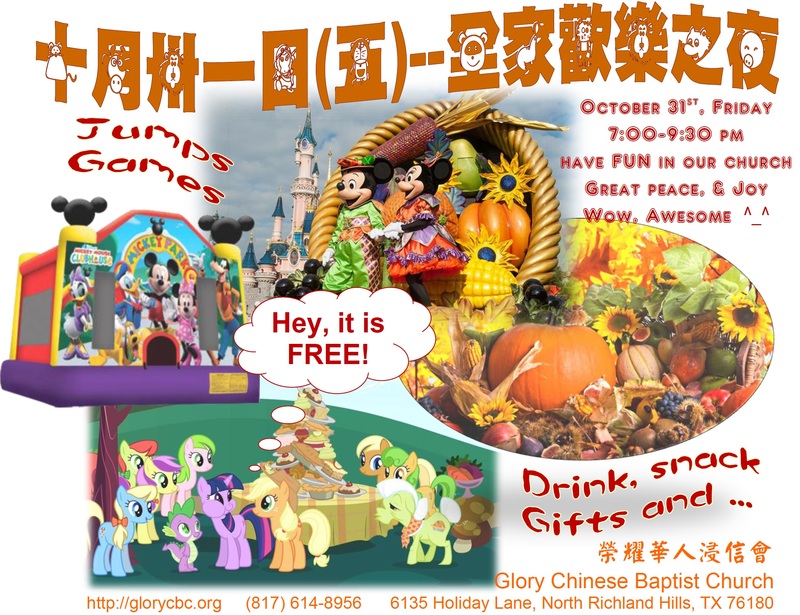 October 31, Friday, 7:00~9:30 p.m.
October 31st, (the 5th Friday) is an American children’s holiday for fun. 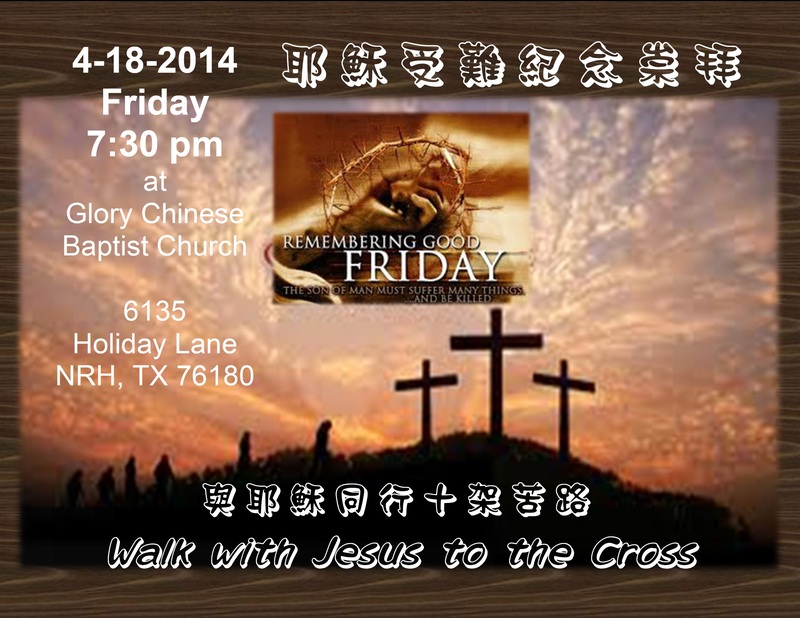 Why don’t you come to church to have a Family Fun Night instead of to scare people or been scared by people. 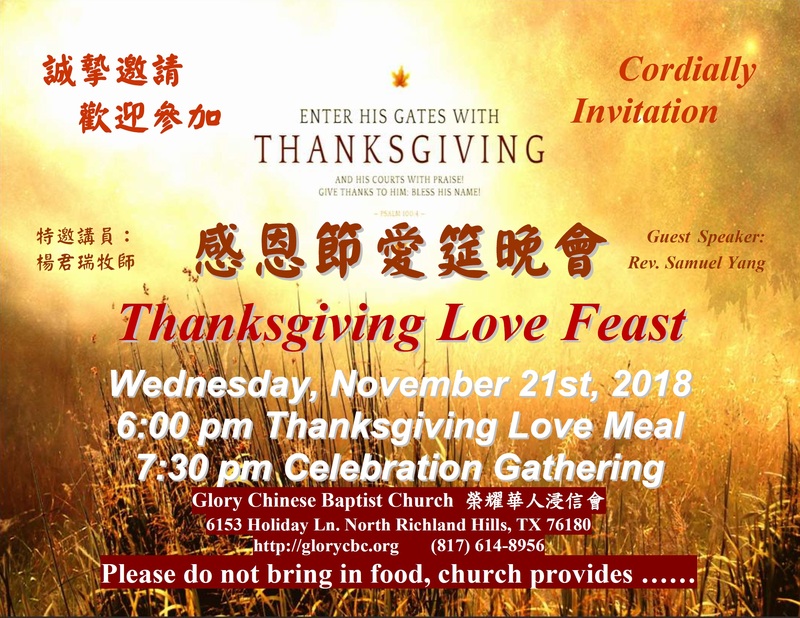 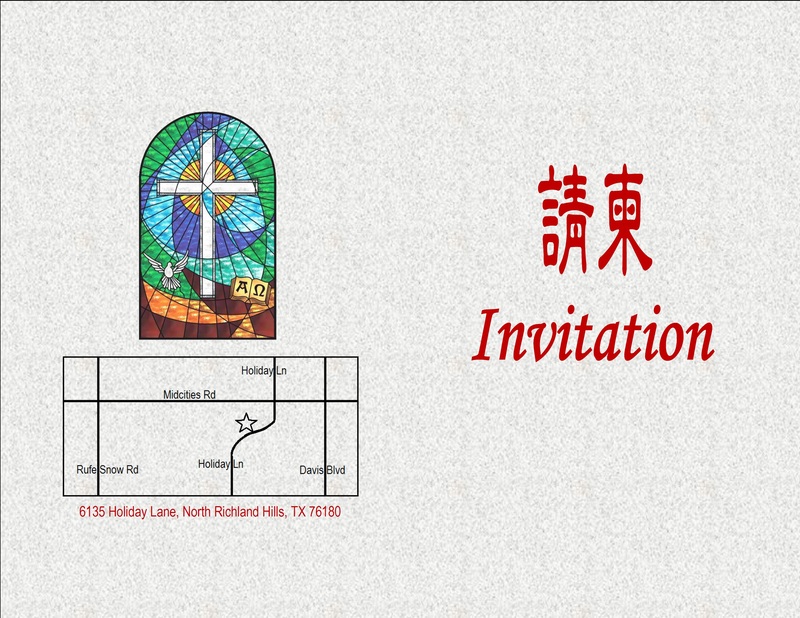 Our Church has scheduled October 31st, Friday, 7:00~9:30 pm for a Family Fun Night event with many interesting, fun activities, gifts for you to get, also drinks and snacks will be provided. 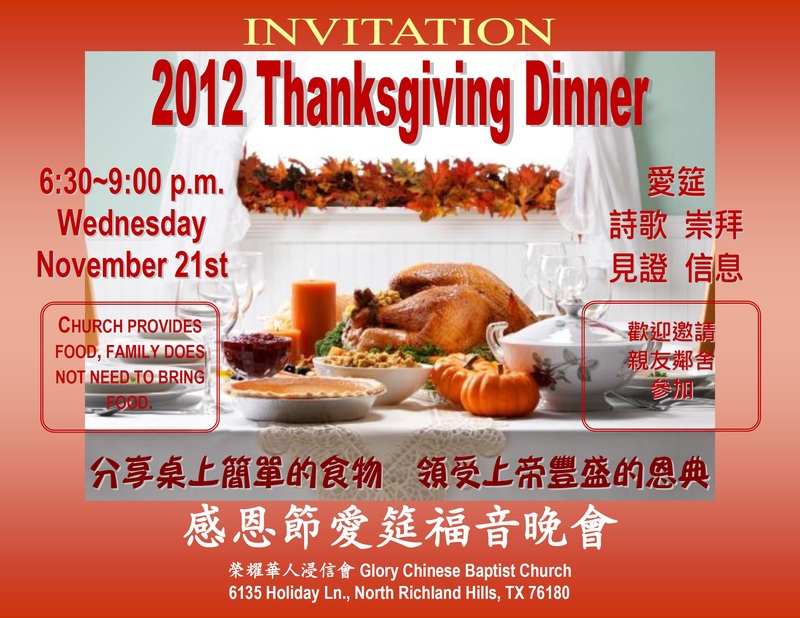 Every thing is for free. 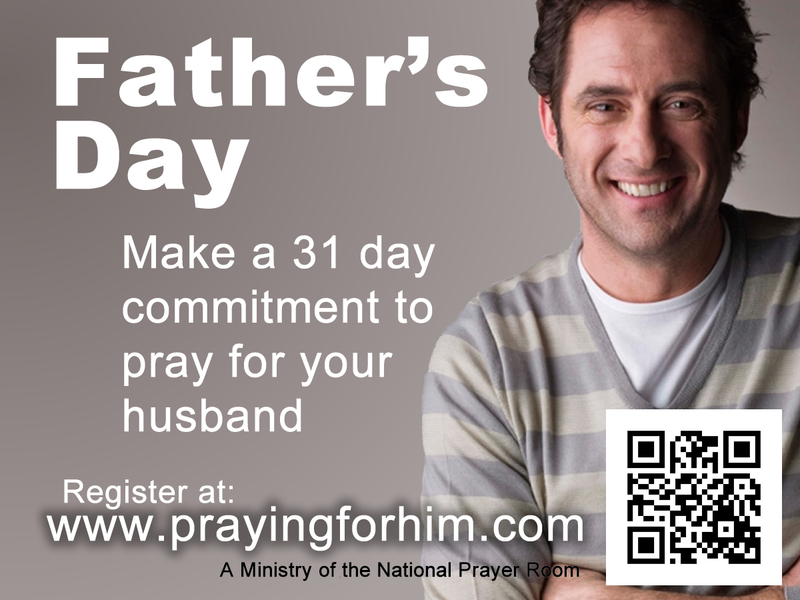 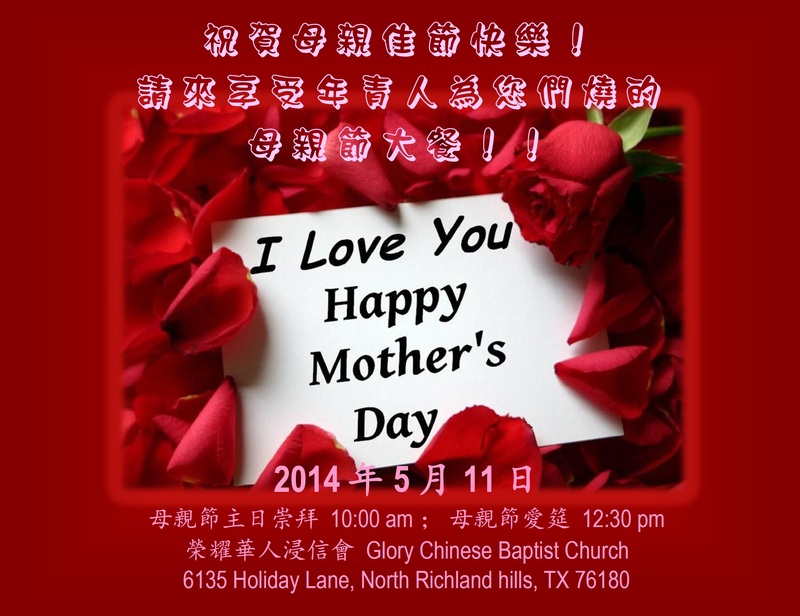 Please come with your family!!!! 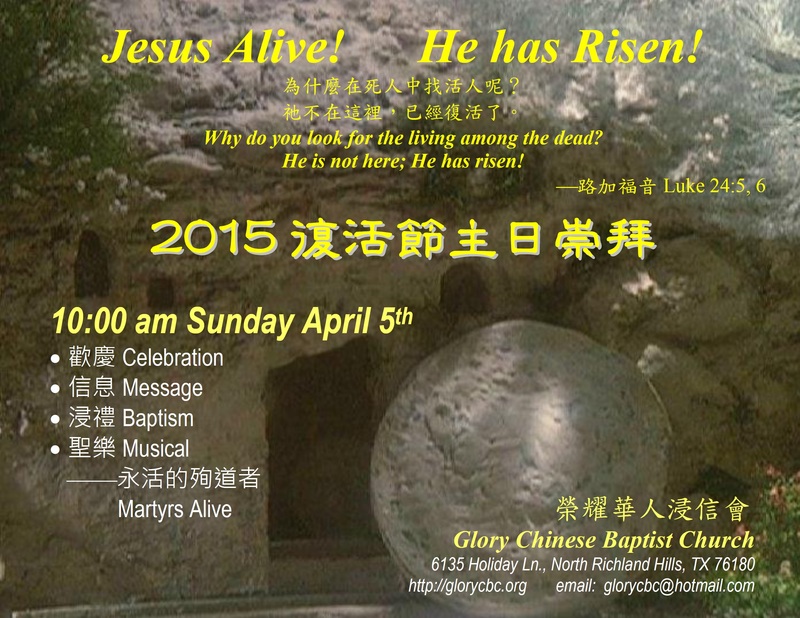 “Where, O death, is your victory? 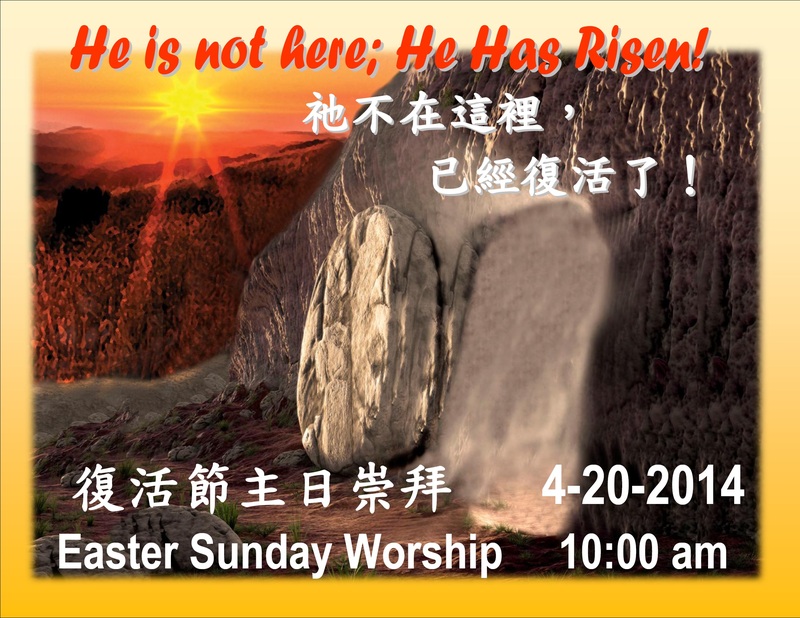 Where, O death, is your sting?" 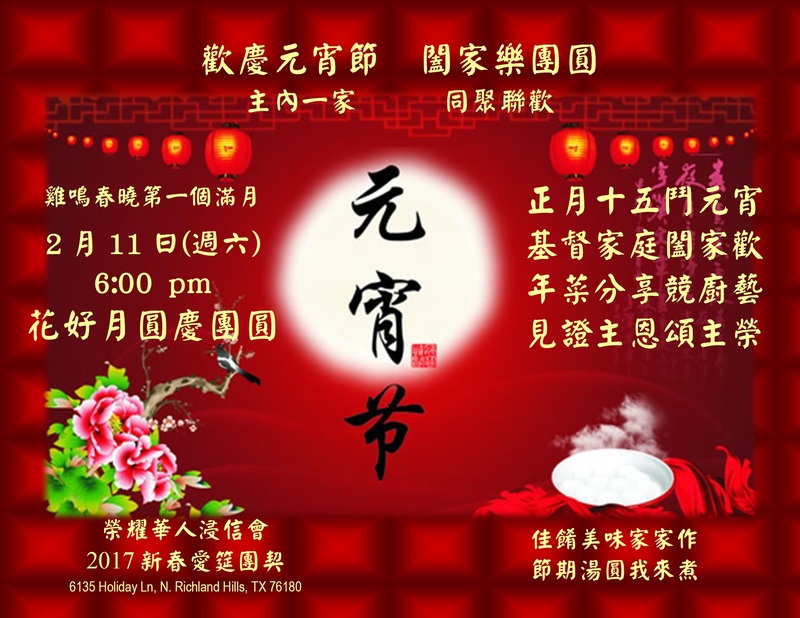 The traditional focus of All Hallows’ Eve revolves around the theme of using “humor and ridicule to confront the power of death." 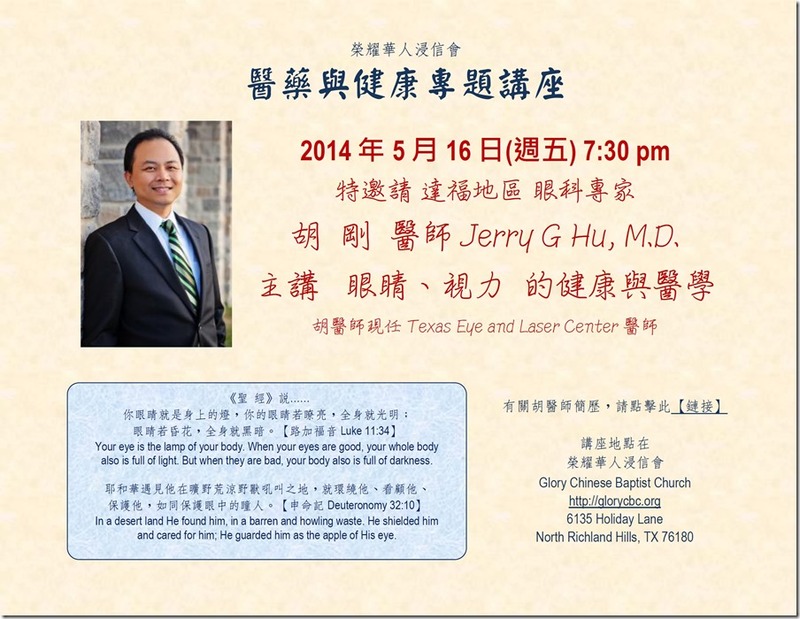 140516 Seminar Poster Dr. Hu Introduction . 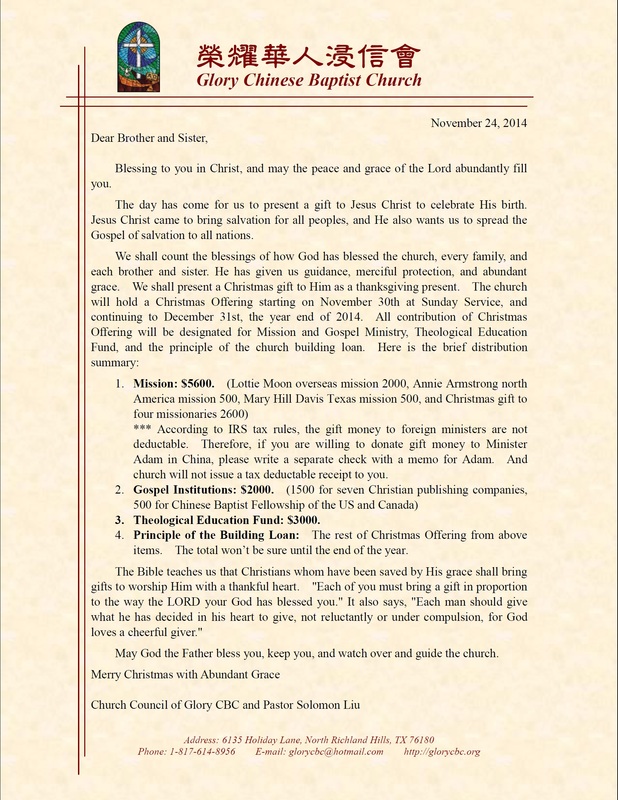 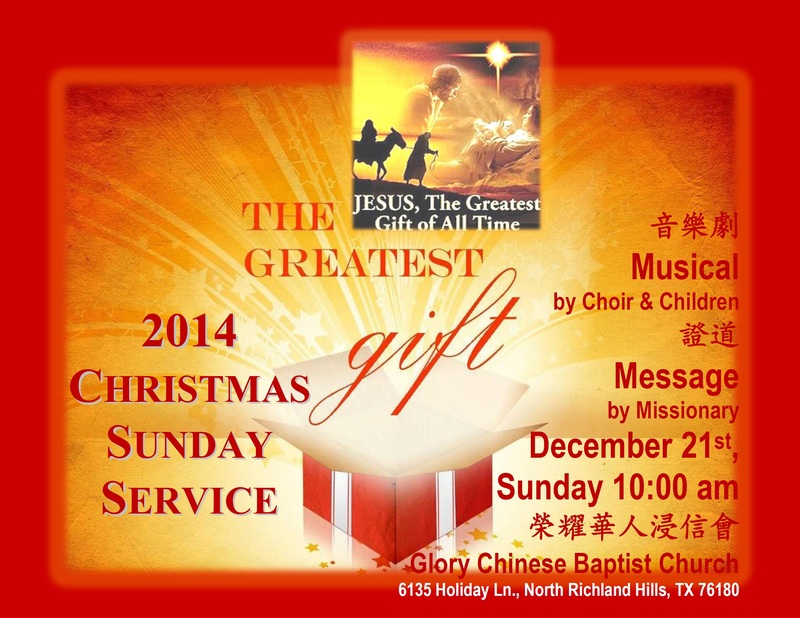 Your Offering may be contributed on Dec. 15, 22 and 29 Sunday Service with a Christmas Manger Offering Envelop. 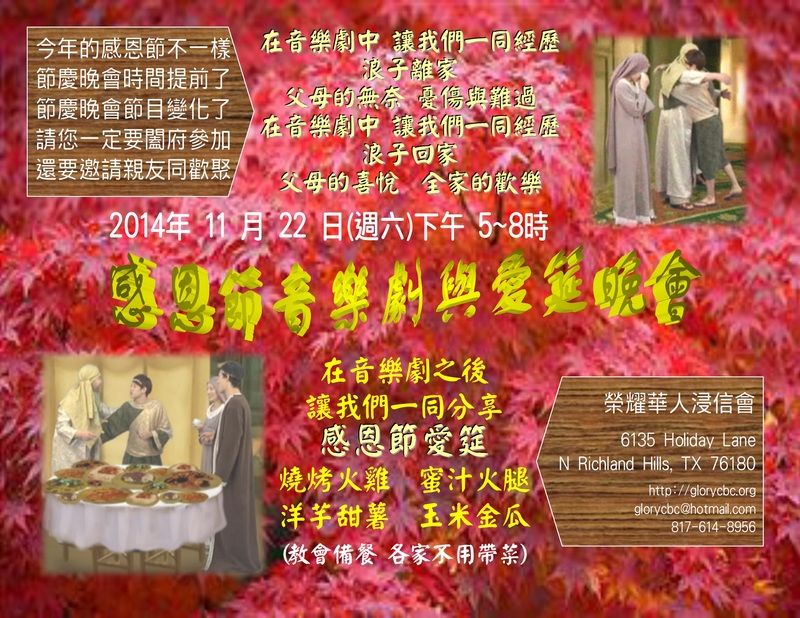 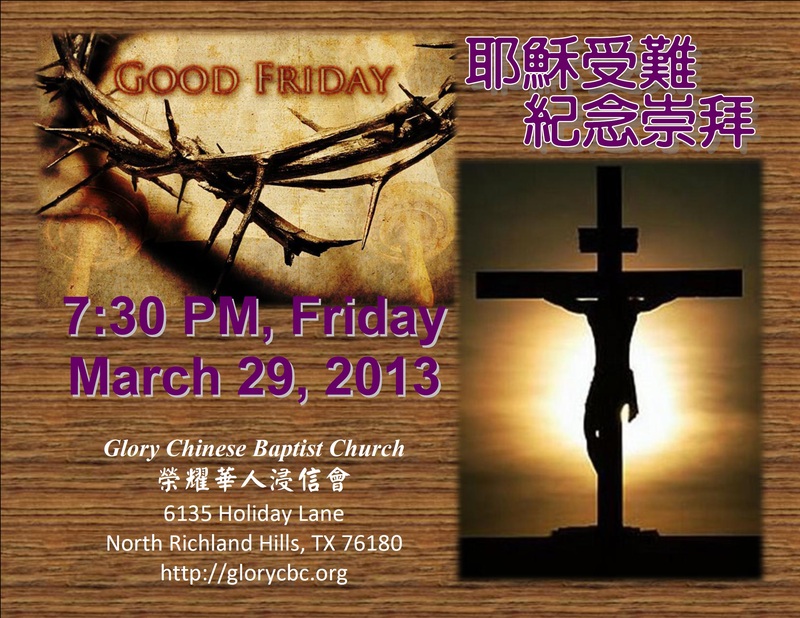 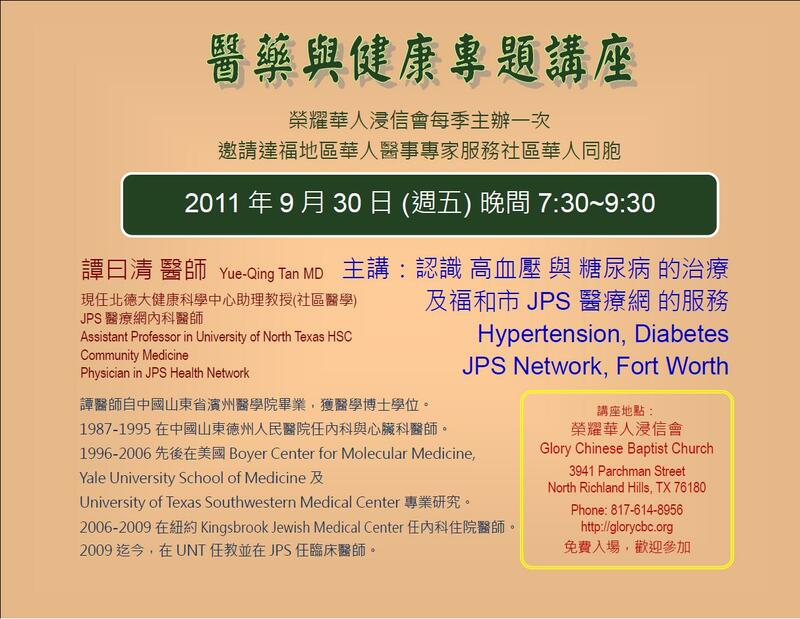 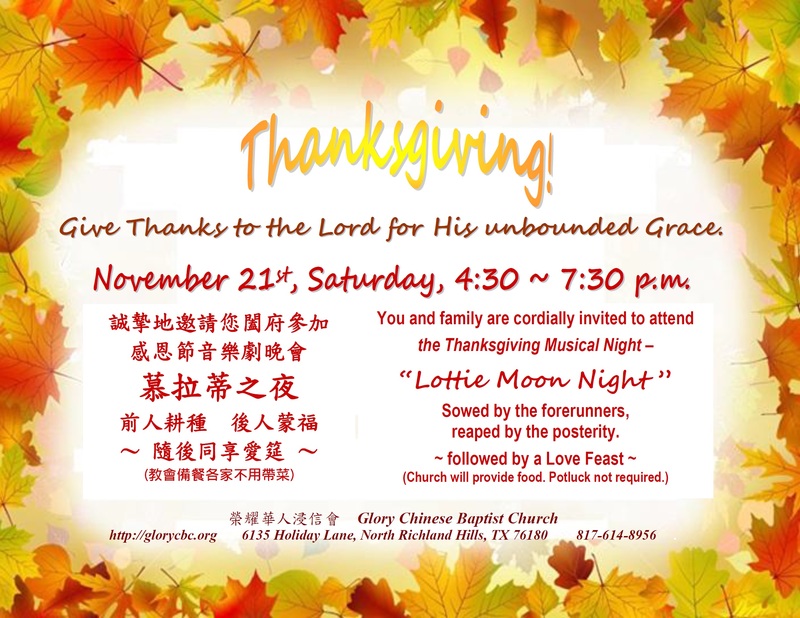 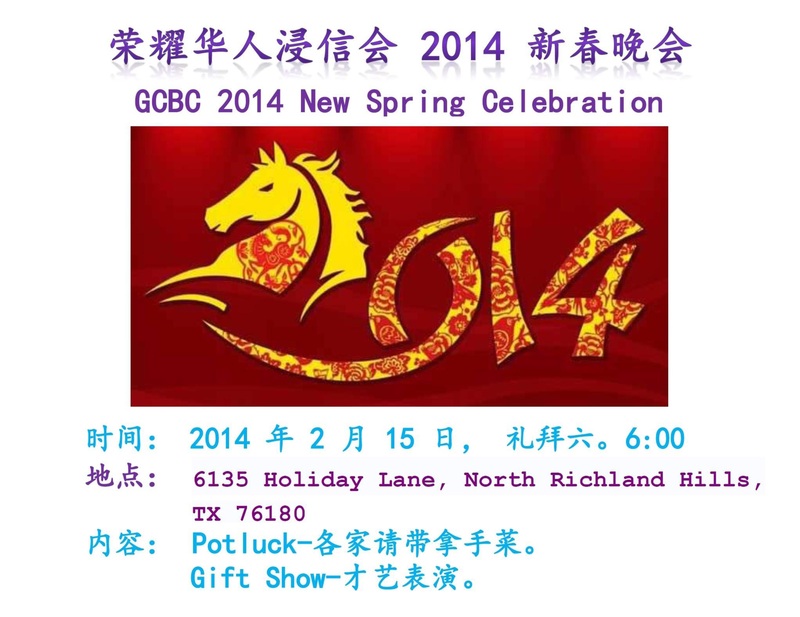 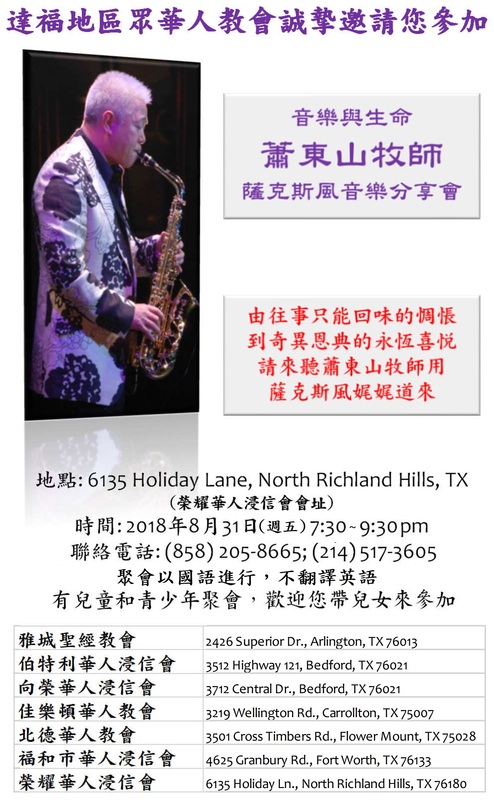 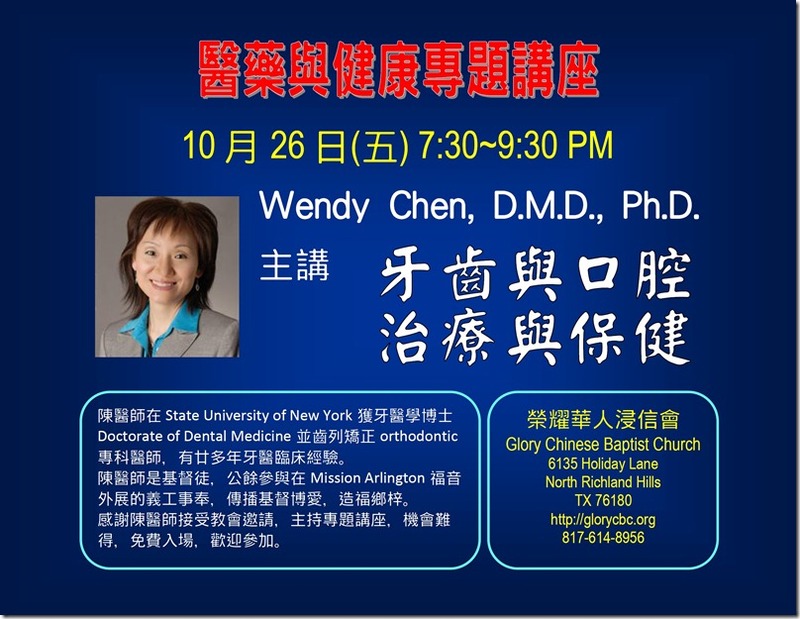 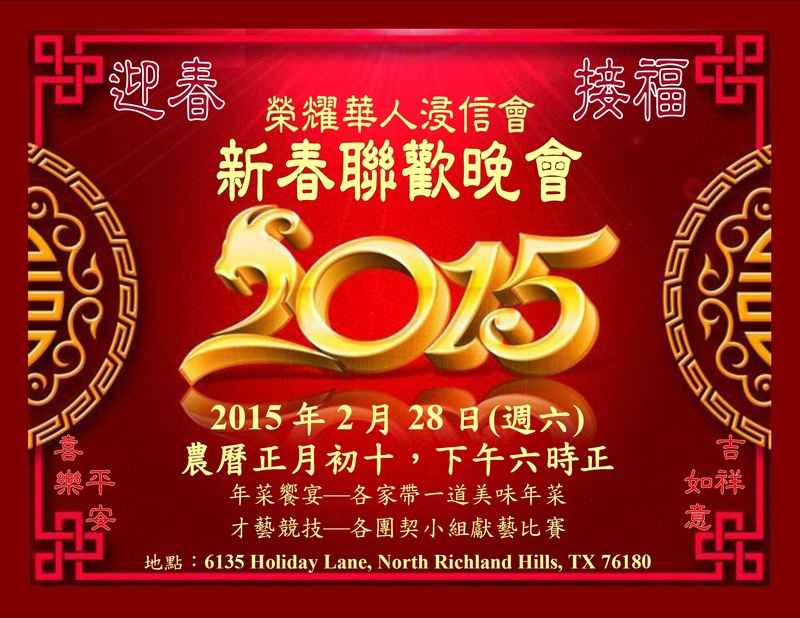 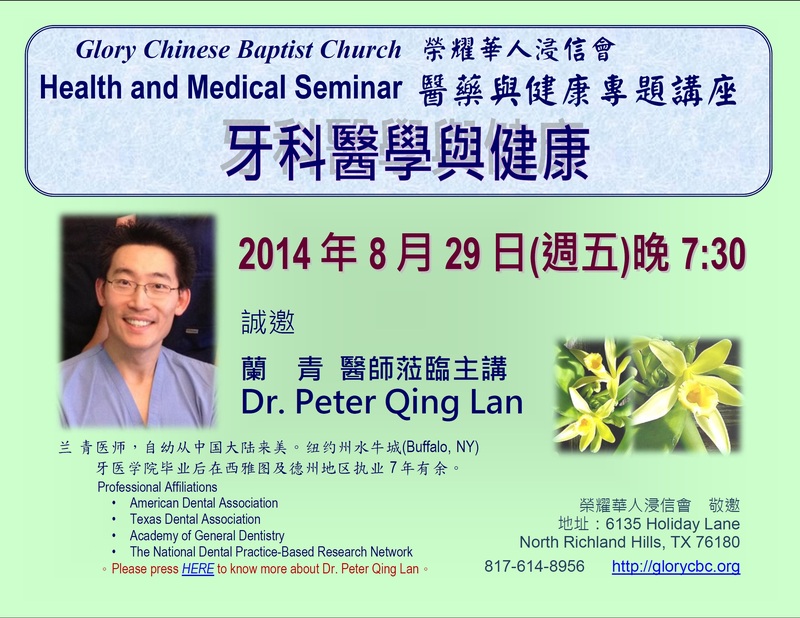 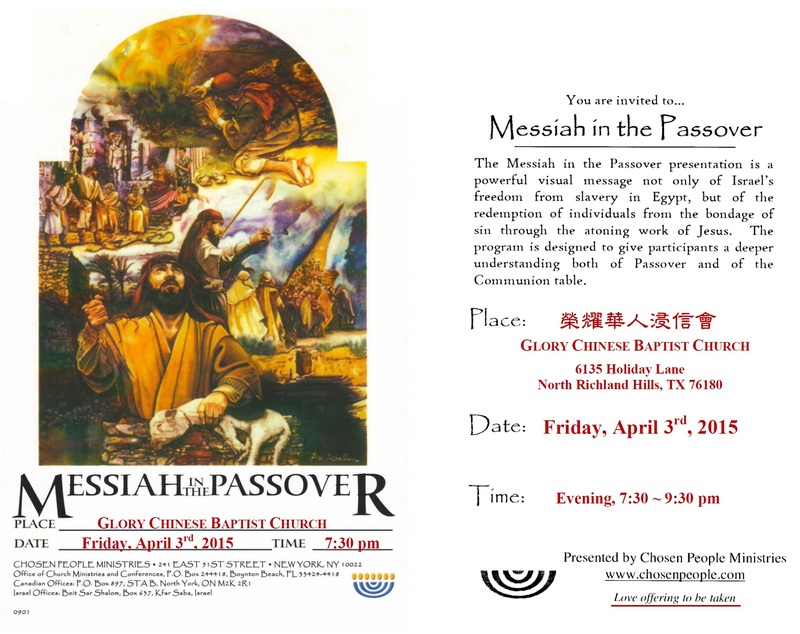 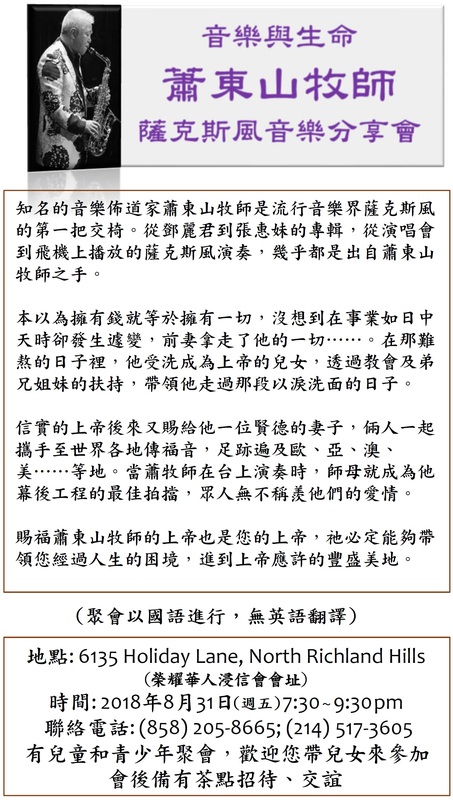 2013 耶穌受難紀念崇拜 Good Friday Service 3/29/2013 (Friday) 7:30-9:30 p.m.
2013 春節聯歡晚會 2/23/2013 (Saturday) 6~9 p.m.
C. 病患的飲食建議 Part 2,　Part 3. 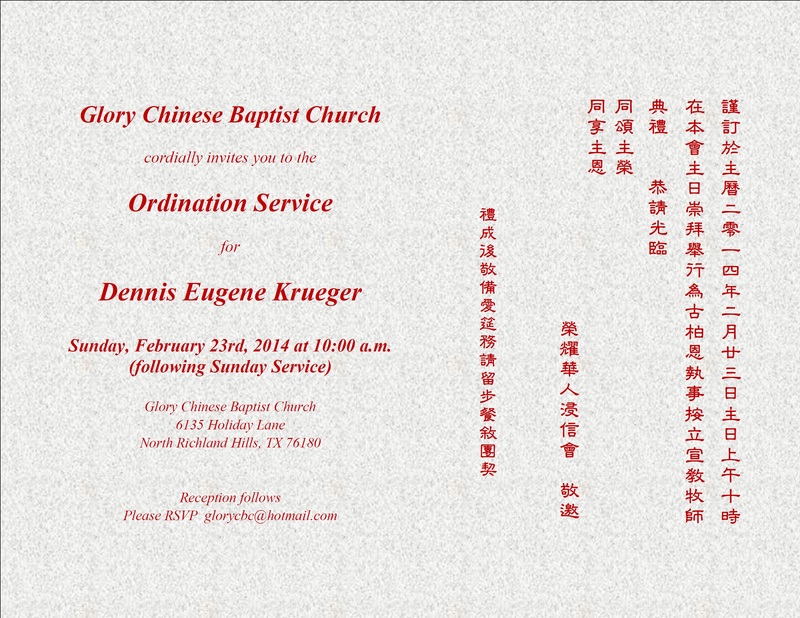 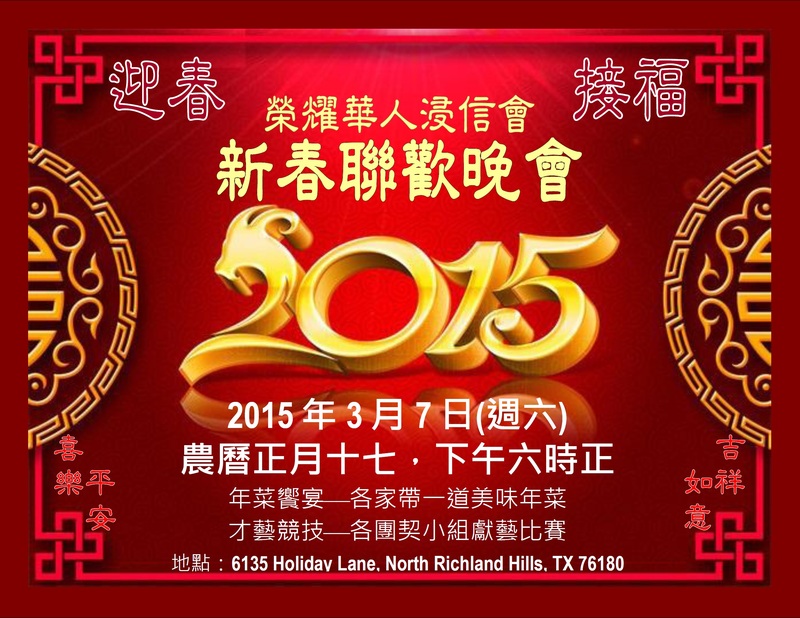 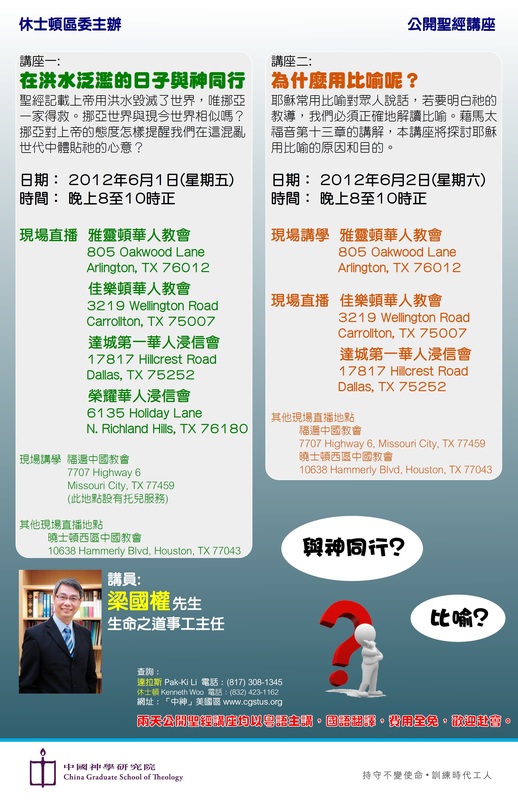 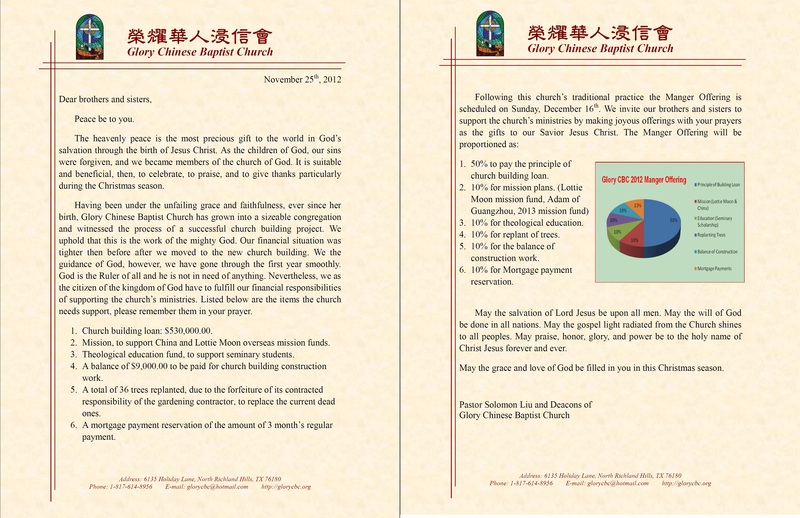 支票抬頭為pay check out to＿＿Glory Chinese Baptist Church. 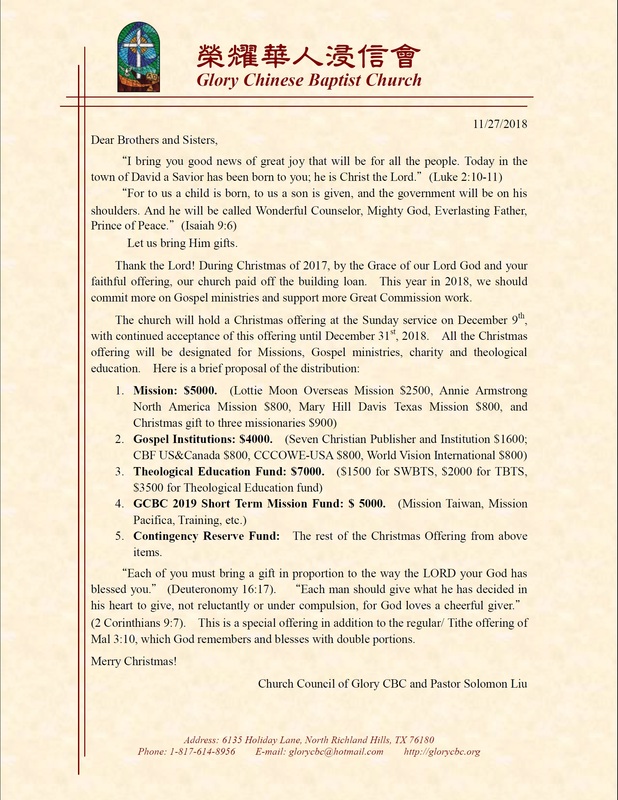 After years using, the cover of our church’s Hymnal were broken and need to be replaced. 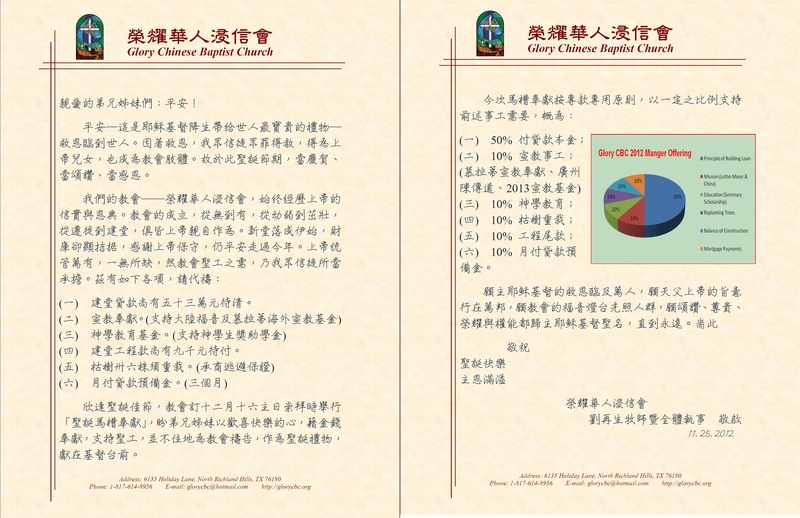 According to the discussion by church music and worship department, we decided to select <Century Praise> pressed by Chinese Baptist Press (International) Limited, Hong Kong. 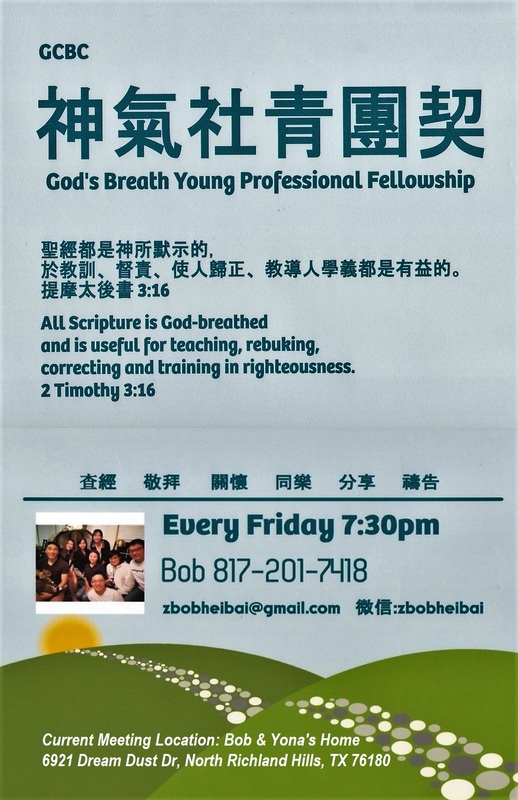 It is a most ascertained copy right Chinese Hymnal with 573 hymns, right key, clear staves, prelude notice, even with Simplify Numbered notes, in addition, the multiple index and worship scriptures are available. 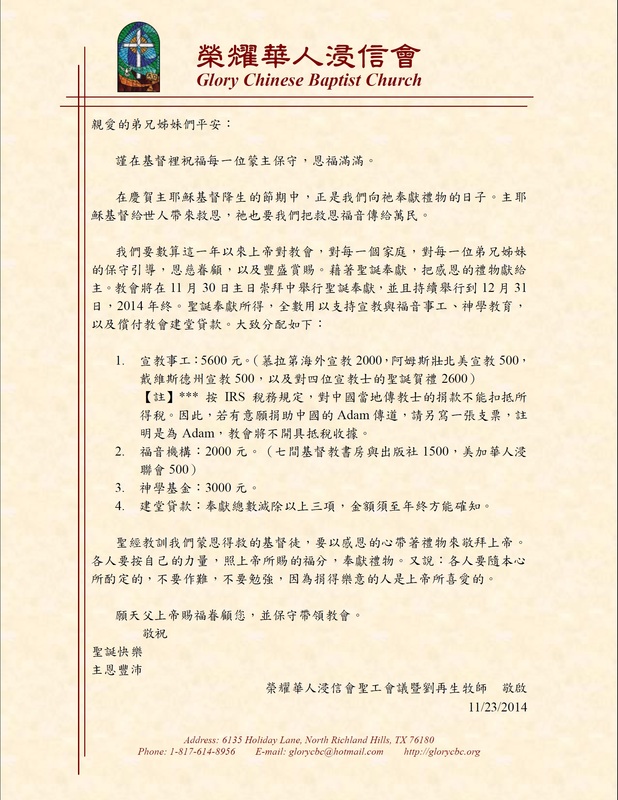 Please click here to get more info from their website. 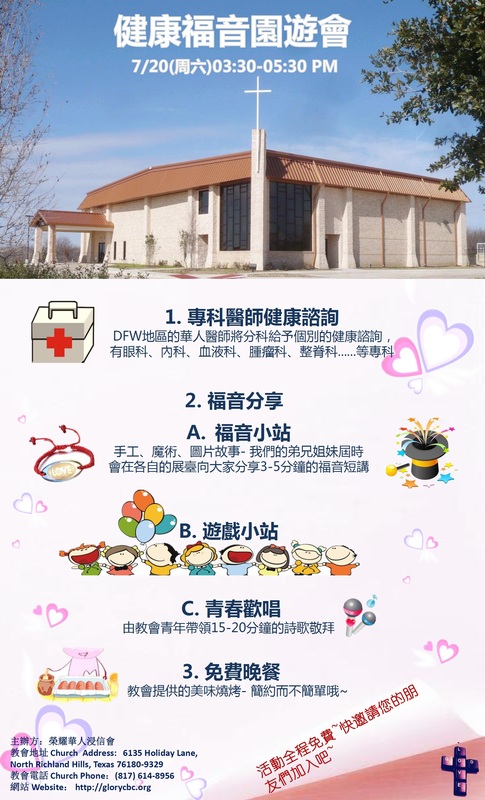 For get a good price, church already ordered 100 copies of Chinese version, 60 of English/Chinese Version and 6 of accompaniment edition directly from Hong Kong Chinese Baptist Press, the total with shipping is $3166.52.